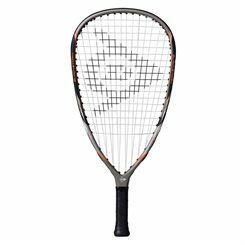 The Dunlop Blackstorm Titanium racketball racket is constructed out of a Carbon / Titanium mix so it maintains a light weight specification whilst providing maximum durability. It also features one piece technology for superb playability. 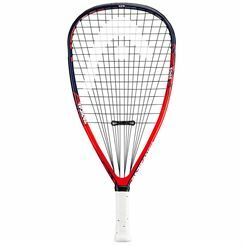 The Tecnifibre 505 Fit is a quality racket developed exclusively for racketball. 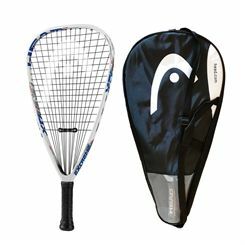 Featuring graphite construction, a 685cm2 head size, 305mm balance and the frame weighing 165g, it is a fully satisfactory option for everyone who seeks good performance and real pleasure of playing. 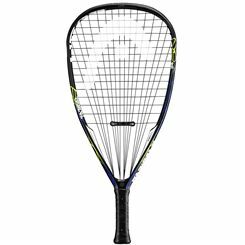 The Dunlop Disruptor One 65 racketball racket has a head size of 108.5in2 (700cm2) and is head heavy balanced for more stability and spin. It guarantees more power thanks to the PowerMax string pattern (16x18) and incorporates the AeroSkin CX technology for greater head speed. The Biofibre delivers greater comfort, feel and control, whereas the CX technology results in enhanced racket speed and power. 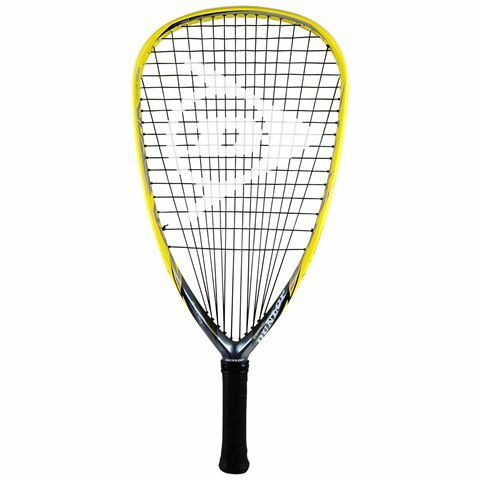 The Disruptor features the MoS2 technology for more power, spin and durability, as well as the Pentagonal Geometry for enhanced racket stiffness, power and control. 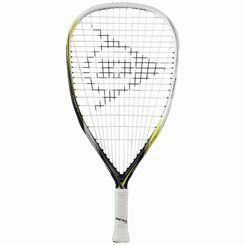 In addition, it is the lightest racket of the new Dunlop racketball series (165g). 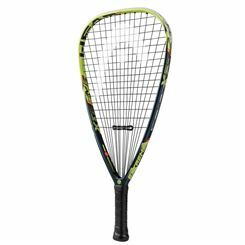 The Dunlop Biomimetic Ultimate racketball racket is a stiff and powerful choice with a great head. 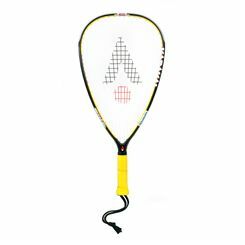 The 106in2 (683.8cm2) head packs a good punch and the racquet is head light so users can manoeuvre and swing it more quickly and hit with more power. 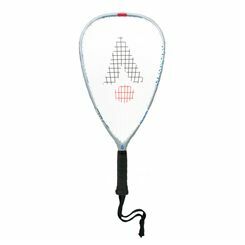 BioFibre technology keeps the frame light but strong and helps to reduce shocks so you strike the ball more cleanly. 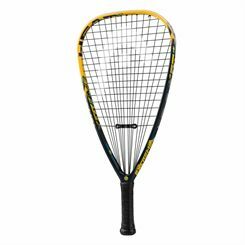 The frame weighs 170g (5.9oz) and AeroSkin CX increases the racquet’s aerodynamic properties so it cuts through the air faster. The MoS2 Grommets deliver improved grommet durability and less friction so the string can flex and move more, enhancing the trampoline effect on ball contact for better spin and power potential. 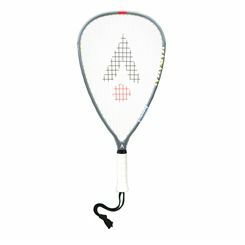 A protective full cover is included and the racket comes strung with a Dunlop synthetic string in a 14x19 Powermax pattern. 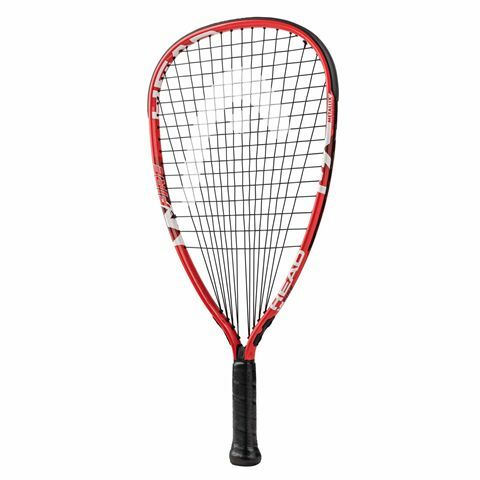 Designed for recreational plays, and people who wish to learn the game properly, the Head MX Fire racquetball racket is a head light balanced choice which grants excellent manoeuvrability and speed to control the outcome of the rallies. 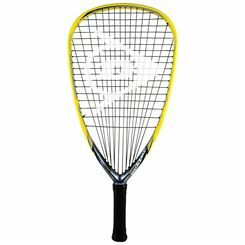 It’s weighs 190g (6.7oz), to ensure good stability, great for slow, yet powerful swings from the backcourt. The frame construction blends aluminium and Metallix for a stiffer feel and excellent durability. 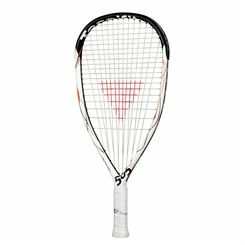 Furthermore, the racquet utilises a revolutionary 16 x 16 Dynamic PowerZone pattern which helps to muster up a tad more power with each stroke. Conveniently, it’s supplied with a practical head cover. 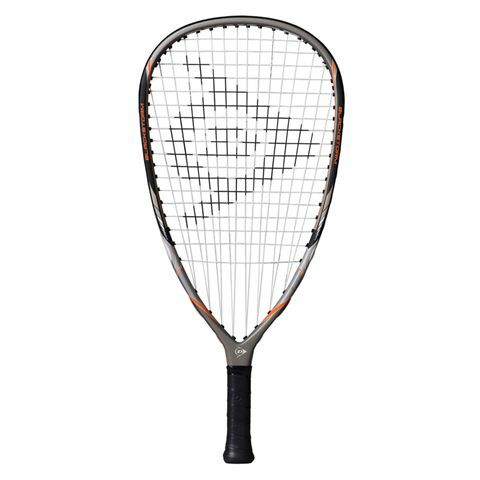 Weighing 175g (6.2oz), the Head Extreme Edge racketball racket is suitable for players with a moderate swing speed and those who want a little extra response. It features a 107in2 (690cm2) head for easy manoeuvrability and for a combination of power and feel, the racket boasts Delta Frame technology. 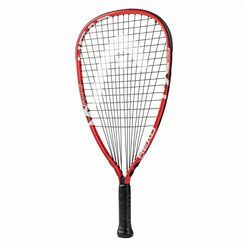 For improved playability and vibration dampening, there is ComforTech technology and the racket comes strung with MegaBlast 16 string ensuring maximum power and added durability. 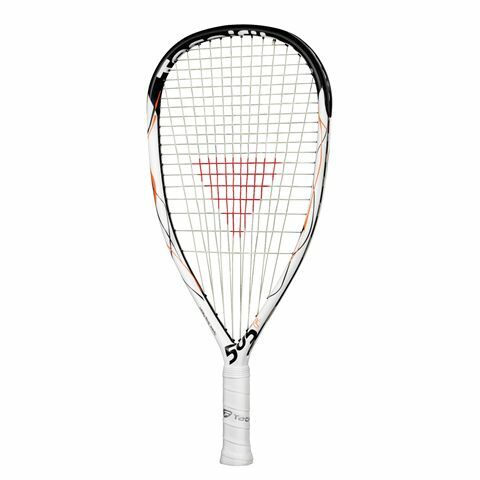 To provide greater control and shot precision, the racket uses Innegra technology and Adaptive String Pattern (ASP) technology lets you customize string pattern depending on your swing speed. For protection, it is supplied with a full-length cover. 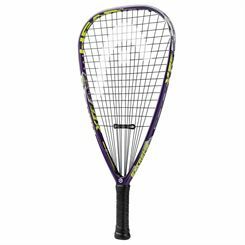 Racketball Rackets from Wilson, Prince, Head and Karakal at fantastic prices with fast UK delivery.